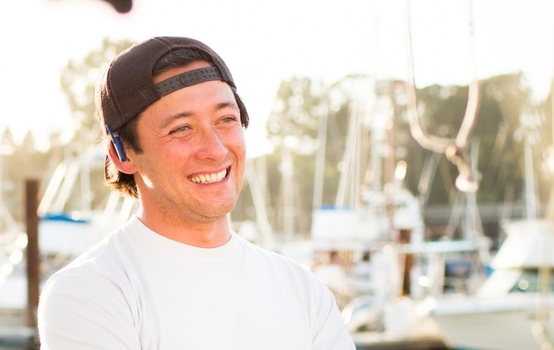 Alan founded the Community Supported Fishery, Real Good Fish (formerly Local Catch Monterey Bay in 2012) as a solution to reconnect our communities to the ocean and local fisheries. They have pick-up sites from Carmel to Marin and East Bay, where members receive fresh, local seafood each week or every other week. Through this enterprise, he’s been working to create a collaborative system of consumers and fishermen and to simplify the supply chain. This means that fishermen can earn a premium for their catch and members can know that their seafood was caught sustainably and processed with care. He’s also founder of their Bay2Tray program, in which under-valued local fish is used in school lunches instead of wasted. This is in cooperation with the Center for Eco-Literacy’s California Thursday’s Initiative to get local food into school lunches. Alan was honored at the White House in 2016 as a “Champion of Change” for innovations in Sustainable Seafood. He’s originally from Martha’s Vineyard, where his ancestors were whalers. He stayed deeply tied to the ocean as he moved west to attend college at UC Santa Cruz. He earned his Masters in International Environmental Policy at the Middlebury Institute in Monterey. He’s an advisor to the Monterey Bay Fisheries Trust and is working with us to create more opportunities for commercial fishermen and women in the region.